& dads alike. Venture+ comes with a handy pouch to take it with you and keep your carrier clean. Inspired by hand tied Mei-Tais style carriers, the Venture & Venture+ makes a truly modern and simple carrying experience in two sizes, and easy to use buckles. The Venture’s simple design comes in two great sizes to accommodate two different weight ranges, so that you get the best experience and fit for your little one. Venture is made for babies and Venture+ is made for toddlers. 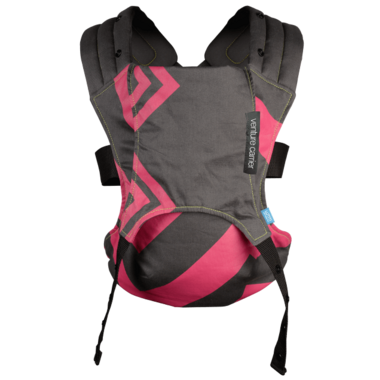 The Venture and Venture+ have beautifully contoured and padded shoulder straps, for added comfort and supportive fit. All Venture carriers have a bucket shaped seat with a supportive back panel, to provide better posture for baby and a happier ride. Venture is one of the most affordable carriers with a front and back position, combined with a contemporary design and enhanced fit & comfort. To use from 18-36 months – 11 to 25 kg/24 to 55lbs.